While transforming food and agriculture to achieve the Sustainable Development Goals (SDGs) is becoming increasingly urgent, ‘smart farming’ appears to many as an attractive way to achieve sustainability, not least in terms of profit. In the European Commission’s plan, the new Common Agricultural Policy (CAP) is intended to fund the huge investments this 3.0 agri-revolution would require. In a context of changing environment and agriculture, this vision seems to be fitting with the need for modernising and making agriculture ‘climate-smart’. But what are the risks and the real opportunities behind this vision? Could synergies between agroecology and digital tools be found to satisfy the needs of modernisation while ensuring the independence of farmers and a legitimate use of public funds? Increasingly, ‘smart farming’ has been making its way into farms across Europe and onto the political agenda. The European Union appears willing to provide a suitable environment through policies and funds which strongly facilitate the development of smart farming and data-driven business models in agriculture. In the recent CAP legislative proposal, precision agriculture and digitalisation are praised by the agricultural Commissioner Phil Hogan as a great opportunity to develop rural communities and to increase the environmental and climate mitigation impact of farmers. A new focus on Farming Advisory Systems — structures providing the training of farmers — is intended to prepare farmers to this technological leap forward. What is smart farming (or precision agriculture)? Smart farming, or precision agriculture, is a modern farming management concept using digital techniques to monitor and optimise agricultural production processes. For example, rather than applying the same amount of fertilisers over an entire agricultural field or feeding a large animal population with equal amounts of feed, precision agriculture helps measure specific needs and adapt feeding, fertilising, pest control or harvesting strategies accordingly. The means of precision agriculture consist mainly of a combination of new sensor technologies, satellite navigation, positioning technology and the use of mass amounts of data to influence decision-making on farms. The aim is to save costs, reduce environmental impact and produce more food. Without a doubt, the promise of more efficient farming, higher yields, and environmental sustainability sounds very attractive. But some might wonder how such market-oriented technologies will impact the agricultural sector. While mega-machinery, chemical input and seed lobbies push to fund these innovations through CAP money, serious questions are raised about who has access to these technologies, who controls the data and what is the environmental performance of these innovations. Is precision agriculture the way forward to sustainability? Smart agriculture is described by many EU policy-makers as the answer to make agriculture sustainable. While it leaves no doubt that precision agriculture performs better than conventional agriculture from an environmental point of view, there seems to be confusion about what sustainability truly is. An increasing scientific consensus emerged over the years around the fact that sustainability should encompass ecological, economic, and social aspects. Under these aspects, a brief analysis shows the limits of the impacts precision agriculture shall have on sustainability. First of all, this new paradigm ignores ecological processes, being simply based on models for optimising conventional production and creating unintended needs. For example, optimising chemical soil fertilisation and targeting the amount of pesticides to apply in a certain area are useful tools in a context of conventional production only. Precision farming may help to reduce fertilisers and pesticide use, but it fundamentally assumes a sterile soil and impoverished biodiversity. In contrast, in a balanced agroecosystem, a living soil works as a buffer for both pest and nutrient management, meaning there is no need to resort to pesticides and fertilisers. Secondly, smart agriculture, as currently developed, is not economically sustainable for most of the farmers. For the last 50 years mainstream agricultural development has progressed along the trajectory of ‘more is better’, imposing top-down chemical and bio-technology and energy-intensive machines. The logic of increasing production at all costs has led farms to grow and pushed farmers into debt. European farms are disappearing, being swallowed by few big farms. From 2003 to 2013, more than one in four farms disappeared from the European landscape. Along the same paradigm, digitalisation risks putting farmers in more debt and dependency. Farmers would be led to buy machines and give up their data. The collected data will then be owned and sold on by the machinery companies to farmers. These new market-oriented technologies governed by the trend of pushing to commodify and privatise knowledge would increase dependency on costly tools, mostly unaffordable for smallholder farmers, accelerating their disappearance. Finally, the precision agriculture approach is not socially sustainable. The knowledge transfer mode of precision agriculture mainly follows a top-down procedure where innovation comes from private companies that develop and provide technological solutions. Farmers would be locked in hierarchically based tools and ‘technocentric’ approaches, obviously fitting to serve private profit, fostering a path dependency, and ignoring the potential of practice, knowledge sharing and participatory research. Moreover, the promises of digital technology and the big data agenda are mainly addressed to conventional, industrial-scale agriculture, allowing them alone to thrive at the expense of smaller ones. During the last decade, agroecology has known large success, sparking transition across all the EU. Agroecology is a way of redesigning food systems to achieve true ecological, economic, and social sustainability. Through transdisciplinary, participatory, and transition-oriented research, agroeocology links together science, practice, and movements focusing on social change. While far from being an ‘agriculture of the past’, as some opponents have labelled it, agroecology combines scientific research and community-based experimentation, emphasising technology and innovation that are knowledge-intensive, low cost,and easily adaptable by small and medium-scale producers. Agroecology implies methodologies to develop a responsible innovation system that allows the technologies to respond to real user needs. It develops a systemic paradigm towards a full harmonisation with ecological processes, low external inputs,use of biodiversity, and cultivation of agricultural knowledge. The resulting technology is as ‘smart’, ‘precise’ and performing as the one promoted by big data companies. Drip irrigation (a type of micro-irrigation), nitrogen fertilisation using mycorrhizal fungi, adaptive multi-paddock grazing systems (a management system in which livestock are regularly moved from one plot to another to avoid overgrazing), and bokashi composting (fermented organic matter) are just a few examples of advanced agroecologial technologies that correspond to the needs of adaptability, performance, and accessibility. Low-tech methods can be equally or more effective, are more appropriate for smaller or remote upland farms, and engender less debt or input dependency. The major part of equipment most of the farmers need is affordable, adaptable and easy to fix. Are agroecology and digitalisation poles apart? Considering the current agenda of big data and big machineries companies, yes, they are.But this does not mean digital innovations are unfit for agroecology. The main barrier to consider to the use of digital innovations in agroecology is related to their accessibility and the lack of autonomy of farmers. Agroecology is based on inclusiveness, it emphasises the importance of the dialogue between producers, researchers, and communities through participatory learning processes. A bottom-up approach, a horizontal integration, and a complete freedom of information are needed to support agroecological innovations. Thus, opposing agroecology and digital technology would be critically wrong. Serious potential can be unlocked by combining digital tools to achieve the objectives of sustainable agricultural production. Farmer-to-farmer methods based on open-source information ruled by a horizontal exchange can be used to democratise the use of data. Crowd-sourced soil data can help farmers to share information and benefiting from it. An example of this is the app mySoil, which seeks to promote the distribution of freely available data through digital technologies. This project has developed a citizen science role for data collection, enabling users to upload their own observations about soils in their area. Sensors can help measure plant or animal needs, information can be transferred and shared among a farming community quickly, and new apps can help farmers selling their products directly and developing a more efficient community-based agriculture. 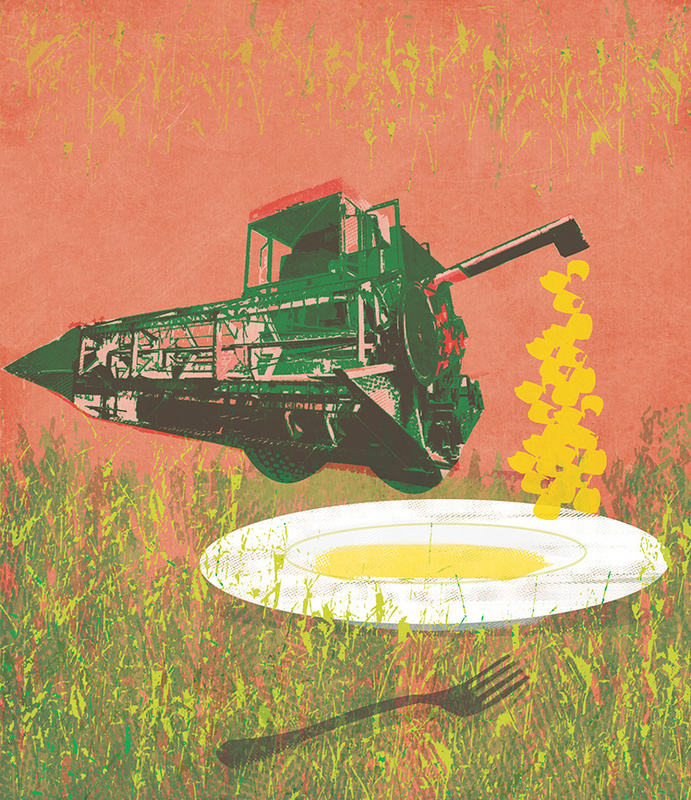 The cost of specialised machines that manage sustainable soil cover and weeds, or composting, can be made affordable by promoting cooperative models and community connections among bioregions. Agroecology is a way of redesigning food systems to achieve true ecological, economic, and social sustainability. Examples of collaborative projects for the creation of technology solutions and innovation by farmers, such as l’Atelier Paysan in France, can be found allover Europe. These local innovations require an enabling environment that Governments are failing to provide. Atelier Paysan is a network of farmers, scientists, and researchers that have developed a bottom-up approach to innovation in order to integrate farmers’ knowledge and the development of new technologies adapted to agroecological farming. The aim is to empower farmers to take back control on technical choices. The starting point is that farmers are in the best position to respond appropriately to the challenges of agricultural development. With the support of technical facilitators and building on transdisciplinary and collective intelligence, farmers develop appropriate and adapted innovations. The technology is developed and owned by farmers, and the investment and the benefits are collective. Adapting digital technology to similar processes can spark transition in a much more effective way than obsolete top-down and technocratic approaches. If we want real innovation, we need to start daring to innovate the innovation process itself. Involving users in the design of agro-equipments, creating financial incentives for innovative equipment purchase, sharing costs among cooperatives and farming communities, and training end-users on the high potential of these new technologies are pivotal aspects of adapting digital tools to agroecological innovation. These processes need the support of public investment to scale up. This shall be the role of the new CAP, in order to make its huge money flow legitimate. CAP money should serve inclusive innovation, in order to develop accessible and adapted knowledge. During the upcoming CAP negotiations, the future of 38 per cent of the European budget will be decided. Public money must be spent for public goods. It is not a matter of what kind of technology we want to support for our agriculture; it is a matter of who will benefit from his technology, farmers or private companies.